Four countries and five trains later, we had arrived in Innsbruck. After a eleven hour journey from France to Austria, we were luckily enough to pass through Liechtenstein and Switzerland, and get a peek at the Alps from a Swiss perspective. Although, Switzerland wasn't on our backpacking route (because it's so bloody expensive), I was perfectly happy with the opportunity of just seeing it. Unfortunately, I didn't take any pictures of the journey, as I enjoyed capturing the scenery through my eyes, rather than a lens... And we were on a high speed train. Waking up at Marmota Hostel, the view from our bedroom window was incredible. As I opened the curtains to welcome the new day, there in front of us was the Alps. It was the best view I had ever seen at a hostel but I wanted more. 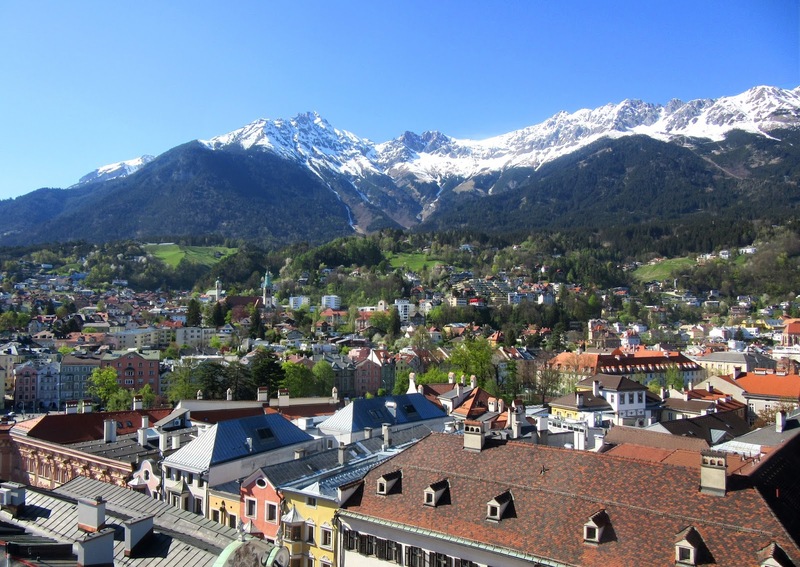 I wanted to explore as much of Innsbruck as possible, and what better way to start than with panoramic mountains, a cloudless sky, a mindful walk in the sunshine... Followed by two cappuccinos and a side of eggs. After plenty of protein and people watching, we wandered around the town for a few hours, with no expectations and no plan in mind. There was so much to see; adorable souvenir shops full of cuckoo-clocks and substantial beer mugs, traditional Austrian clothing, dogs in costumes, street performers and Austrian architecture. The detail on the buildings were awe-inspiring, I'd never before seen such a display of talent. 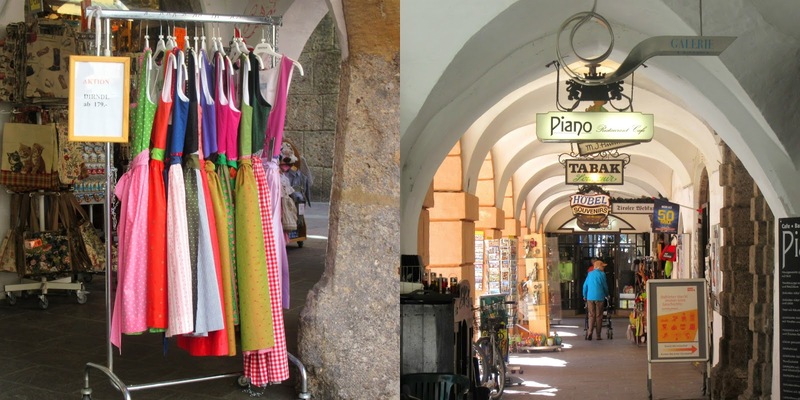 We wanted to know more about the history of Innsbruck to get an idea of how the locals lived, and how they contributed to the cities unique, magical ambience. We visited the symbol of the city, also known as the 'Golden Roof', which was designed by emperor Maximilian in the 1500's. Fun Fact: The 'gold' roof is made up of 2,657 fire-gilded copper shingles, which is where it's impressive name comes from. 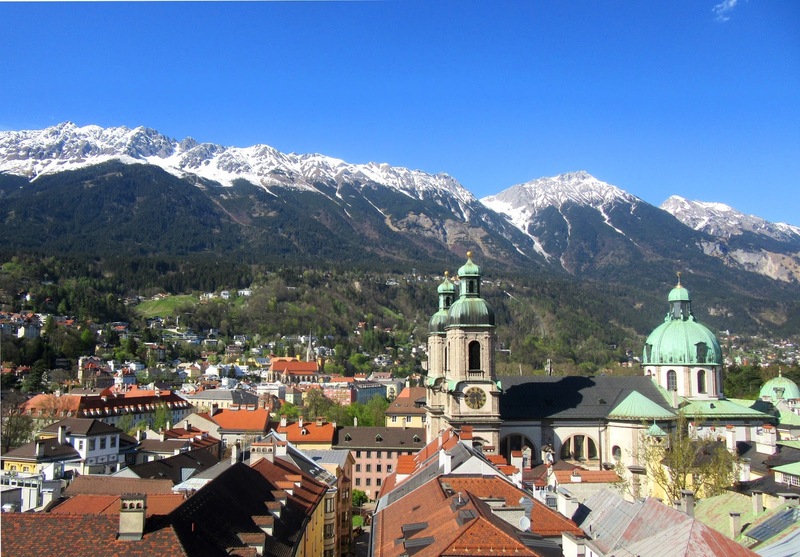 We also climbed up the City Tower to get a panoramic view of Innsbruck, which was spectacular from every angle. We were surrounded by snow-capped mountains, impressive wildlife and colourful creations. It was quite expensive for food in Innsbruck so we chose to eat Schnitzel burgers and kebabs from a fast-food restaurant instead. The beer however, is all that is necessary when your a backpacker on a budget and the Austrian beer my friends, sure did us travellers proud. So we put away the water, sat ourselves down and took advantage of 'Happy Hour' with the locals. After several beers and two schnitzels later, the sun began to set. My legs were sore from galavanting around all day like the child that I am, and I was in need of a cuddle and some sleep, so Jack and I jumped on a tram and headed back to our hostel. We were leaving Innsbruck in the morning and heading to Slovenia. We closed our curtains, said goodnight to the Alps and goodbye to Austria.. For now. P.s. 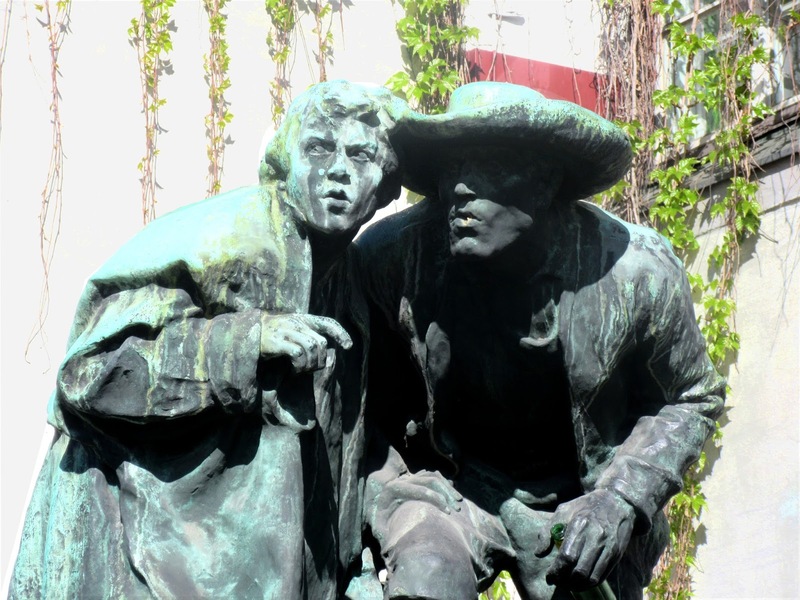 Is it just me, or does the statue on the left look a lot like Evan Peters?